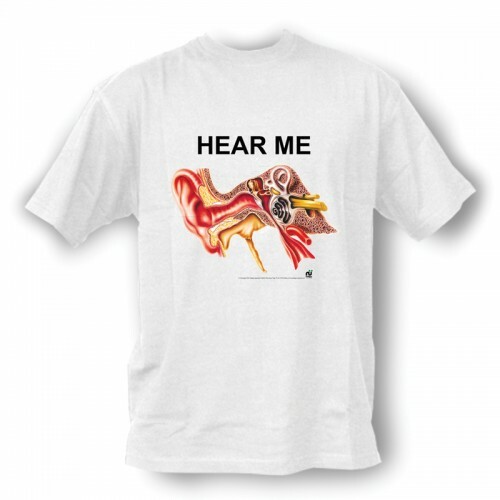 T-Shirt Hear Me, fun anatomy clothing. Fun t-shirt with a detailed anatomical print. This anatomy t-shirt is an unique and educational gift for students or healthcare professionals.